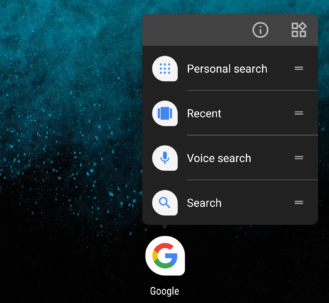 1.3 "Your Household" becomes "Family Sharing"
Google set loose a beta update to its namesake app this weekend, but like most versions, there's not much to see after updating. The most interesting things are only visible through the lens of a teardown, although they're mostly minor notes about topics we already know about or expect to be coming. Nevertheless, we can look forward to a new app shortcut to launch Assistant, car-specific Assistant settings, a couple of name changes, and more. New placeholders have been added that will be used for an entry in the Google Assistant settings screen to manage options for use inside of a car. The new lines include two empty strings and a new line in the device type settings layout, although it is currently hidden from view. Another sign that this is still basically a placeholder is the use of the "music note" icon for the row. As Google Assistant becomes more capable, it has also taken on more responsibilities in the car. It makes sense to split some settings so that Assistant can behave differently based on use both inside and outside of the car. During the I/O 2018 presentation, Google not only committed to giving new voices to Assistant, but also to bring some celebrities in to lend their particular vocal talents. The first famous voice we can expect to flow through our Homes will be John Legend. We already knew his voice would be coming "later this year," but now there's actually a descriptive label to go with it. Google will simply call these cameo voices. "Your Household" becomes "Family Sharing"
In rebranding news, a feature that has been known as "your household" since it was first spotted in a teardown of version 7.25 will now be known as "family sharing." This doesn't seem like the best branding choice since it bumps right up against Family Library, which could have (and probably should have) been called Family Sharing. Also, the little bit that we've seen about Assistant for Household has suggested that it is more concerned with keeping track of details about those living in the home rather than sharing things between those people. Perhaps additional information will come out that can shed some light on this name change. Let's play nice and avoid making any too many jokes about Google products being in perpetual beta. But for what it's worth, the At a glance feature appears to have been promoted out of wearing the beta tag. It looks like there will be an app shortcut to launch Google Assistant. The current list of shortcuts includes a few old entry points to the Google app, but it has been missing a simple direct route to Assistant. It's hardly conclusive, but there's a new passage related to Continued Conversation that explains it's only available in US English to regular users, and all English locales for international Googlers. If you've been looking forward to seeing Continued Conversation in other languages, it seems like this message implies that Google is currently just testing and improving the feature for English speakers for now. Once things are working properly, the tests will surely move on to new languages.